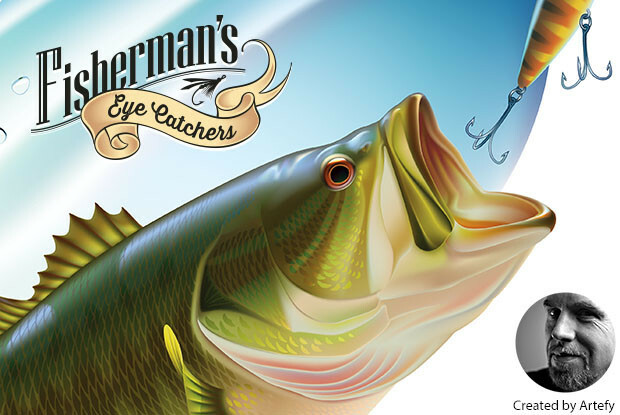 Fisherman’s Eye Catchers is a collection of 15 photorealistic digital artworks of game fishes created by Artyom Yefimov, aka artefy. Images might be published as stickers and posters. Another option is a wall calendar. 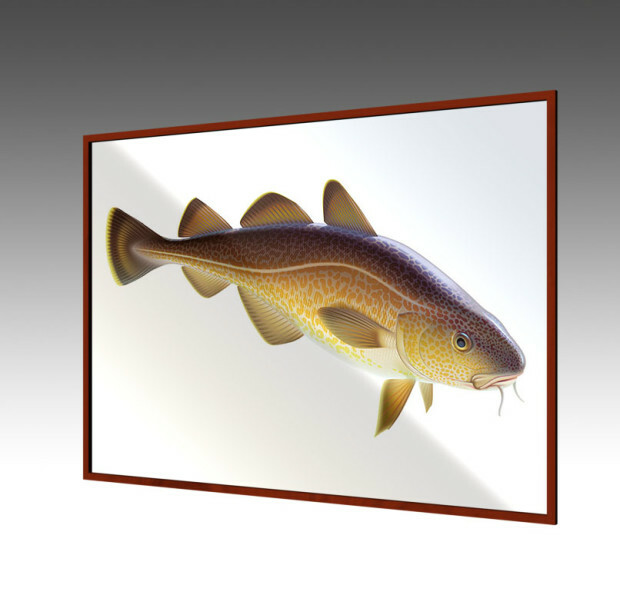 collectors, or liven up the interior of a fisherman’s club or a seafood restaurant. media and distributed as stickers, posters or a wall calendar. Rainbow trout swinging in water sprays. 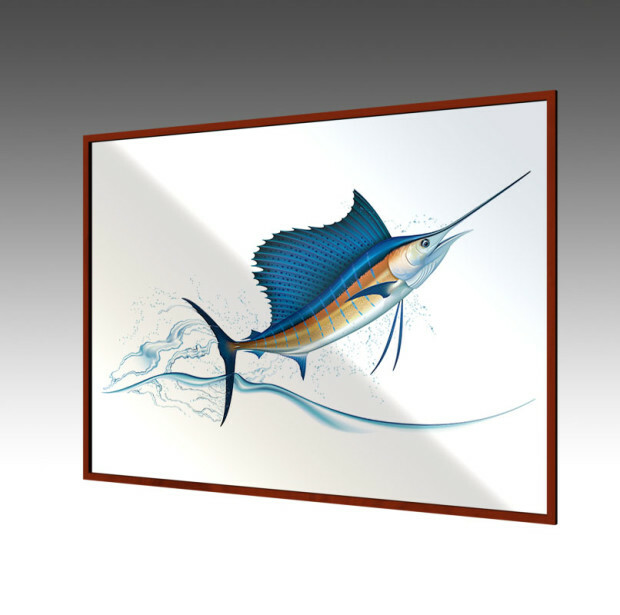 Editable vector illustration in AI CS4 + EPS CS4 format. ZIP contains: AI CS4 and EPS CS4 vector files + hi res JPG file. 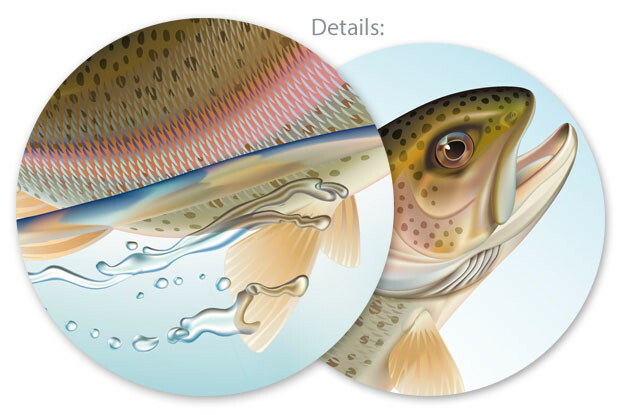 Rainbow trout and large mouth bass swinging in water sprays. Set of editable vector illustrations in EPS 8.0 format. 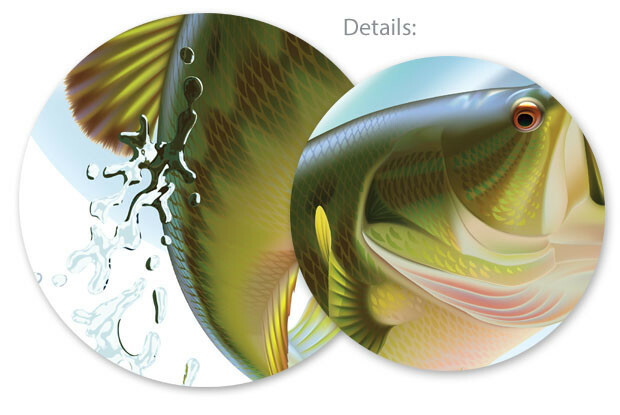 - ZIP contains: 3x EPS vector files + 3x hi res JPG files. Yellowfin tuna swimming in the depth. Editable vector illustration in EPS 10 format. ZIP contains: EPS 10 vector file + hi res JPG file. 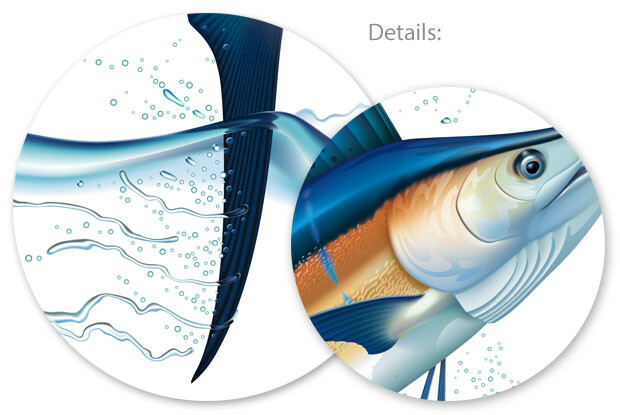 Tuna, rainbow trout and codfish in water sprays. Set of editable vector illustrations in EPS 8.0 format. ZIP contains: 3x EPS vector files + 3x hi res JPG files. 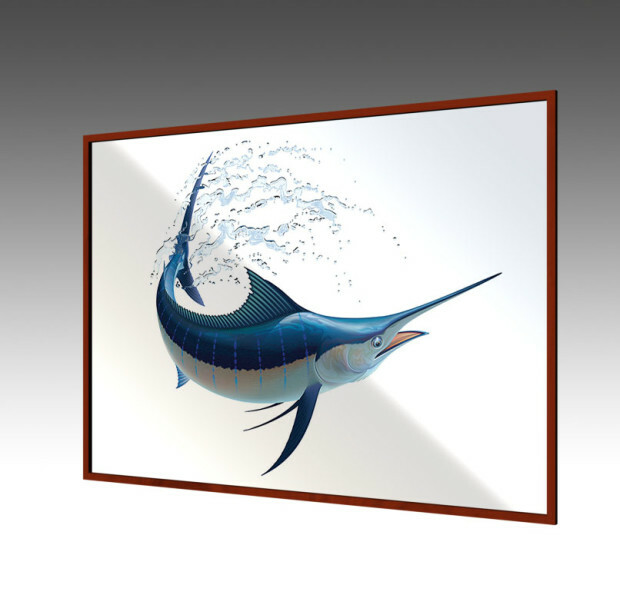 Blue marlin and sailfish swinging in water sprays.